Costa Elena is the culmination of a new way of thinking about spending time with our families and caring for our communities, our planet and ourselves. It’s about connecting to the soul of Costa Rica’s romantic heritage within an authentic setting unlike any other. It’s about being a good neighbor to the remarkably rich landscape of the Guanacaste Conservation Area (ACG), a UNESCO World Heritage site, and being part of one of the greatest environmental success stories of our time. 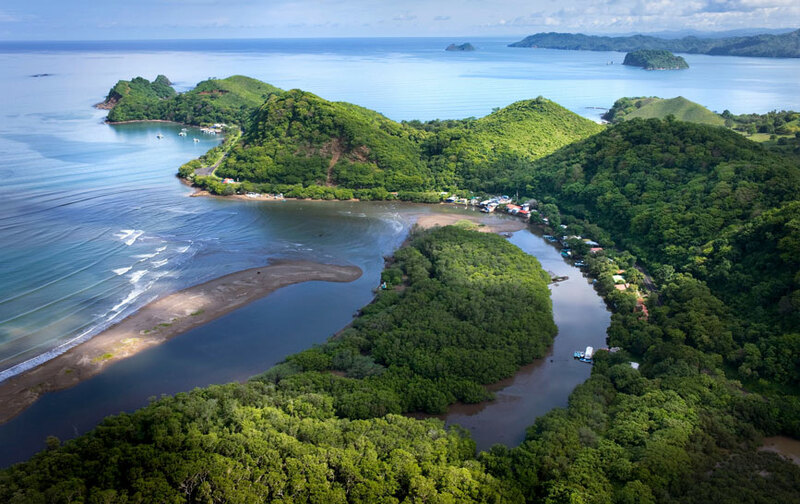 Costa Elena is envisioned to become the sustainable gathering place for pioneering families and friends from across the globe to come in search of Pura Vida. Costa Elena is now opening its doors to those looking for ground floor investment opportunities in Costa Rica. Costa Elena offers unique ocean view properties in close proximity to pristine white sand beaches, a contemporary and authentic collection of unique real estate products that celebrate indoor-outdoor luxury living, prestigious hospitality and management services, and guarantee remarkable rental returns year by year. 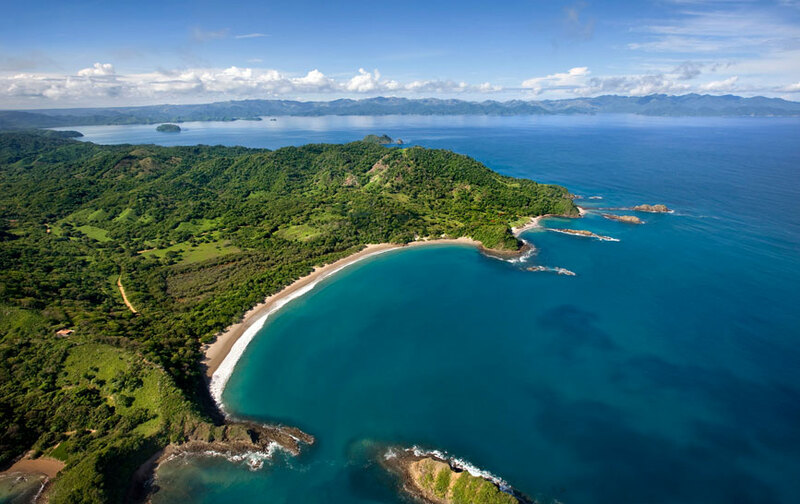 Secreted away within this breathtaking corner of Costa Rica, Costa Elena captures the best of Guanacaste’s nature, wildlife, sandy beaches, fun-in-the-sun lifestyle, and offers a myriad of multigenerational experiences. 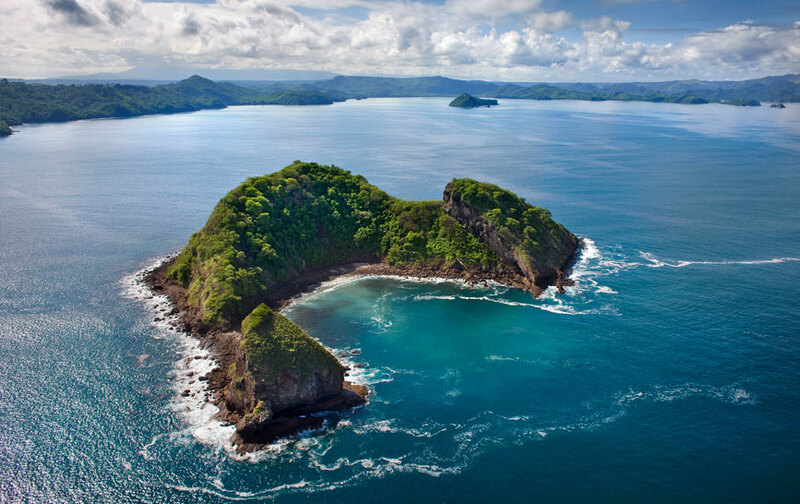 This unique, rare part of Guanacaste has a ten-mile-long coastline with unmatched diversity and an inspiring 2,718-acre wonderland that hugs the Pacific Ocean. 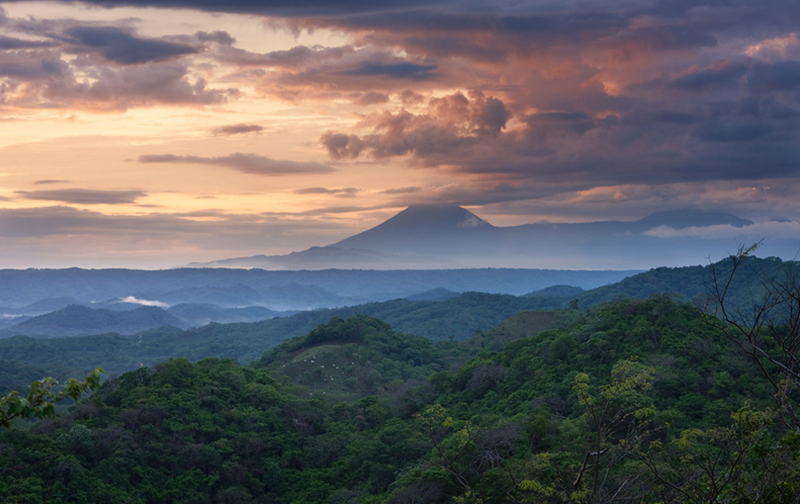 With more than 415,000 acres of UNESCO World Heritage Site serving as Costa Elena’s boundless backyard, no other resort destination can claim such access to so much adventure in this uncharted wild side of Costa Rica. Costa Elena is located in El Jobo, La Cruz, Guanacaste, just one hour north of the Liberia International Airport, a hub that quickly connects this growing tourist destination on the Pacific Coast of Costa Rica to over 16 major cities in the USA, Canada and a growing number of other international locations. With the newly paved roads from Liberia to El Jobo, guests may choose from two quick scenic routes to get here, one through the quaint fishing town of Cuajiniquil and the other through the charming historic town of La Cruz. 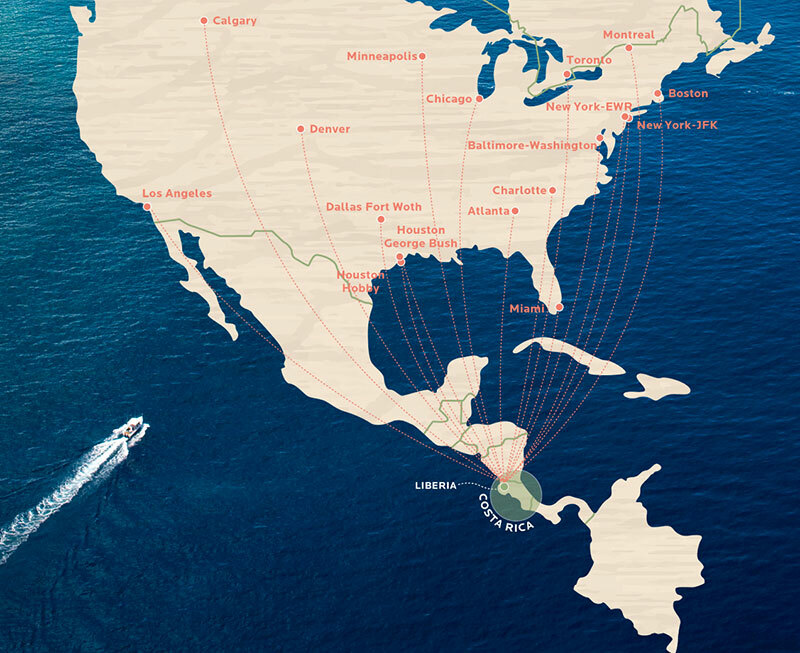 Both routes have unparalleled panoramic views of our surrounding national parks, the Northern Guanacaste Pampa and the Pacific Ocean —so however you get here, be ready to relax and enjoy the best of this diverse and majestic territory. This community aims to achieve the perfect balance between luxury and simplicity. While this part of Costa Elena is aimed at high-end luxury homes, you will be able to experience breathtaking, one of a kind expansive views of the Guanacaste Conservation Area. 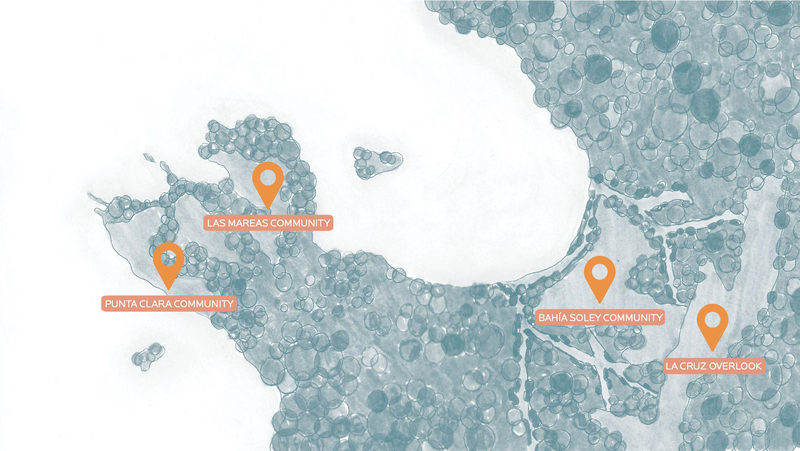 As the first community within Costa Elena, Las Mareas is one stop along our epic ten-mile coastline. With its family-friendly Jobo Beach, Dreams Las Mareas Resort and spa, the Hilltop Founder Homesites, the up-and-coming Costa Elena Wellness & Spa Resort and Beach Village, this mini-paradise sets the tone for the entire Costa Elena experience. The Las Mareas Community is casual, yet elegant, authentic, yet curated, it is a vacation, yet so much like home. Within minutes of your home in Las Mareas, you can benefit from unique experiences at several very different nearby beaches, lounge comfortably at the Costa Elena Beach Club or dive into Costa Elena´s enriching calendar of community events. Enjoying life like the locals, with weekend or daily nature activities, will add to your sense of the perfect Guanacaste home. Bahia Soley capture all the charm and enchantment of the region’s proud agricultural and sabanero (cowboy) culture in both scenery and experiences. From sustainable fish farms to artisanal cheesemaking to organic grass-fed beef, Costa Elena´s surrounding communities offer a constellation of authentic gastronomical delights in a family friendly farm-to-table atmosphere and served up in a peaceful setting. 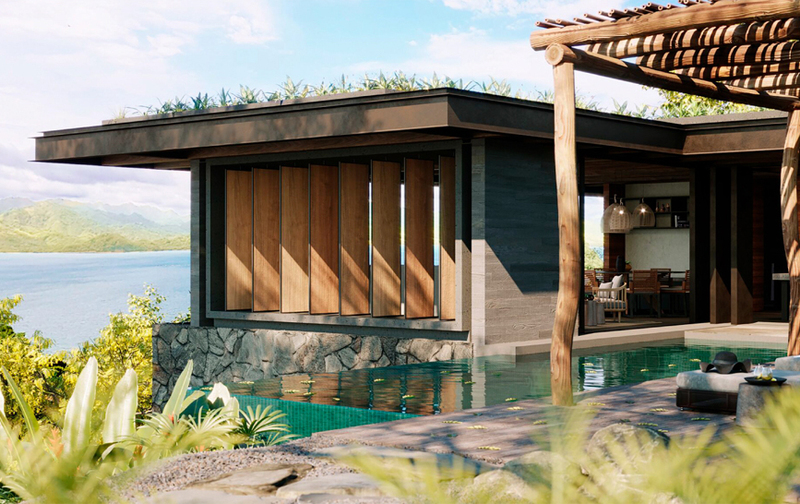 The Overlook will connect residents and travelers in search of a real Costa Rican town experience to the La Cruz Overlook, which is set up on a mountaintop plateau, overlooking Bahia Salinas and the Pacific Ocean. This sleepy provincial town is a small settlement where the cultural richness and a sense of community are instantly welcoming. Costa Elena hopes to bring opportunities to this urban space where owners and resort guests may help reinvigorate the town´s local economy. Like the pillars of community, four cornerstones form the foundation of the Costa Elena brand and define the primary ways that Costa Elena will deliver on its brand promise. Each cornerstone will drive value for the project and differentiate Costa Elena from all other resort destinations in Costa Rica. 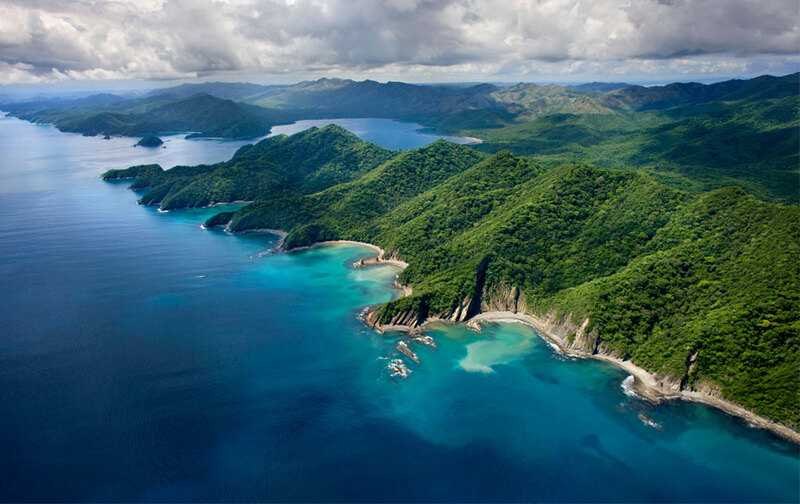 Celebrate the diversity of 4,000 acres and ten miles of coastline within an authentic, sustainable destination that champions natural beauty, cultural patrimony, environmental preservation and responsible tourism development as a model for Guanacaste. Create an inclusive club culture rooted in a rich sense of community and family values that allows owners and hotel guests to have access to a diversity of environments. Introduce a stylish new signature vernacular that blends seamlessly with the landscape, borrows elements of the local culture and reflects the contemporary tastes of today's resort-goers and home-buyers. Establish a multifaceted resort community that appeals to all generations through a series of mountain-to-ocean outposts designed around current trends in family inclusivity, events, guided experiences, localism, healthy food and athleticism. As the new standard for Guanacaste, Costa Elena captivates generations of guests with genuine hospitality, superlative recreation and unexpected local experiences delivered with an infectious sense of fun. Costa Elena is a place to experience the many sides of Guanacaste. With a new vision for today’s residents and guests, along with a deep commitment to the local La Cruz community and culture, Costa Elena is poised to put Guanacaste on the global map as a destination that has it all. 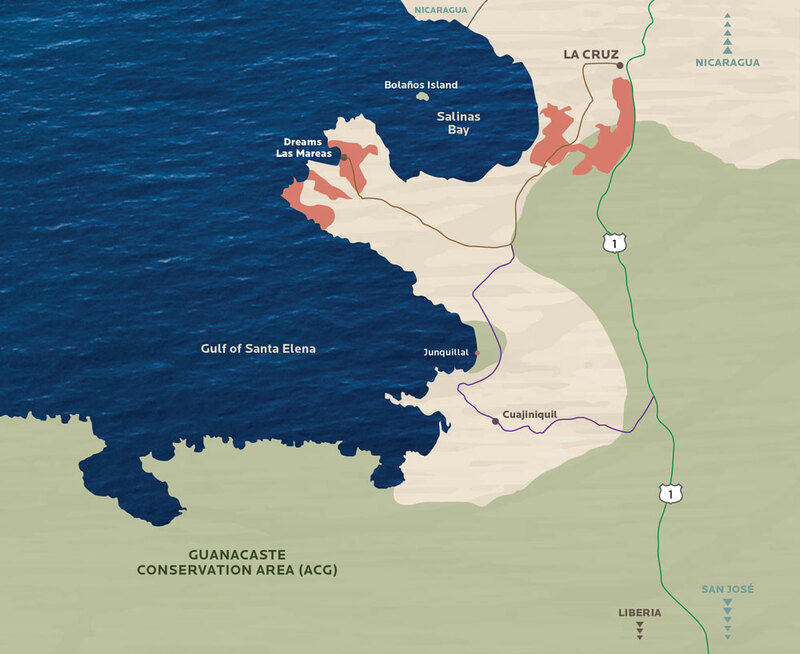 Celebrate the diversity of 2,718 acres and ten miles of coastline within an authentic, sustainable destination that champions natural beauty, cultural patrimony, environmental preservation and responsible tourism development as a model for Guanacaste. Establish a multifaceted resort community that appeals to all generations through a series of mountain-to-ocean outposts designed around current trends in family, inclusivity, events, guided experiences, localism, healthy food and athleticism. The information, advertising, plans, prices, illustrations, images, characteristics, renderings and other materials shown in this advertising material are solely for illustrative and information purposes, they are not scale models and are subject to changes without prior notice; the dimensions provided, either square meters or square feet are approximate and may vary, being that the developer (as well as related companies, members of the board of directors, shareholders and legal representatives) reserves its rights to make changes, modifications, inspections or substitutions during the construction process or due to the redesign of the project, buildings, residential units, facilities and other elements of the project at its discretion. Current and updated information will be provided in the sales office and only the information agreed upon in the reservation and/or sales contract shall be binding.